Milwaukee Tools has announced a new compact and lightweight miter saw stand that weighs only 31-pounds yet has a weight capacity of over 500-pounds. 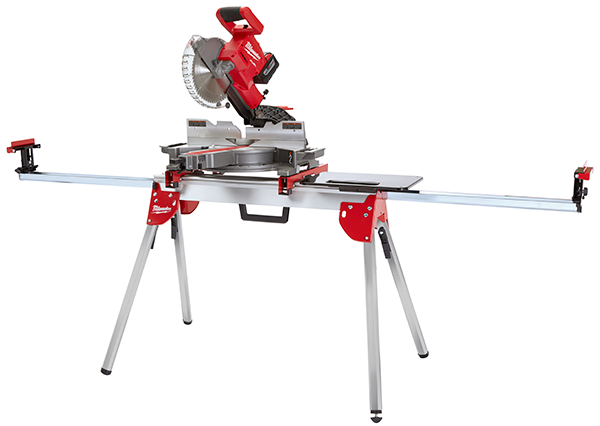 Its portability would pair nicely with the cordless 18V miter saw Milwaukee came out with last year. 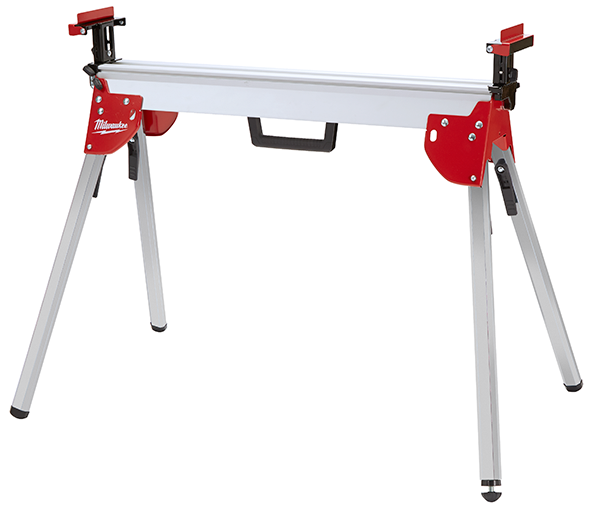 The new 48-08-0551 Milwaukee Folding Miter Saw Stand extends to provide a total of 100-inchs of support—or just over 4-feet on each side of the blade—yet it is only 43.5" when it is in its collapsed configuration. The 4-feet of support is adequate for most building materials, but if you plan on cutting any millwork longer than 8-feet, I would suggest getting a separate outfeed stand. My favorite is the Ridgid Flip Top Stand. One additional feature that I am happy to see as an accessory to the new miter stand is an attachable table top work surface. It can be mounted next to the miter saw and used to hold blueprints, cut lists, small parts, etc. 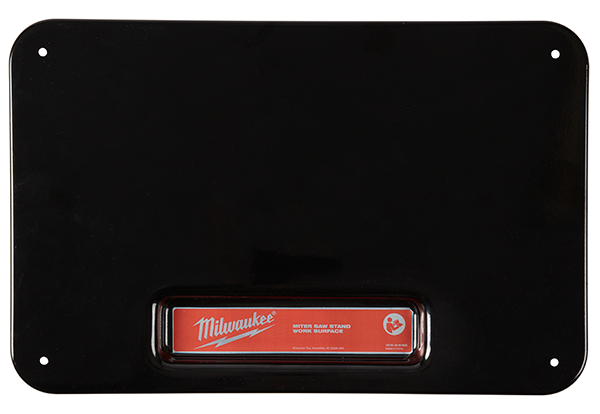 It even features a recessed storage tray that can keep your pencils or tape measure from falling off the stand. The 48-08-0551 Milwaukee Folding Miter Saw Stand is scheduled to be available in June 2017 with an MSRP of $199. The Table Top (48-08-0552) will cost $24.99, a Carrying Strap (48-08-0553) will be available for $14.99, and additional Mounting Brackets (48-08-0554) will be available for $24.99.